24 Hour Blocked Driveway Towing After the vehicle is Ticketed! Kwick Towing offers complete Towing and Roadside Assistance for all your needs. We specialize in Blocked driveway towing queens 24 hours a day. 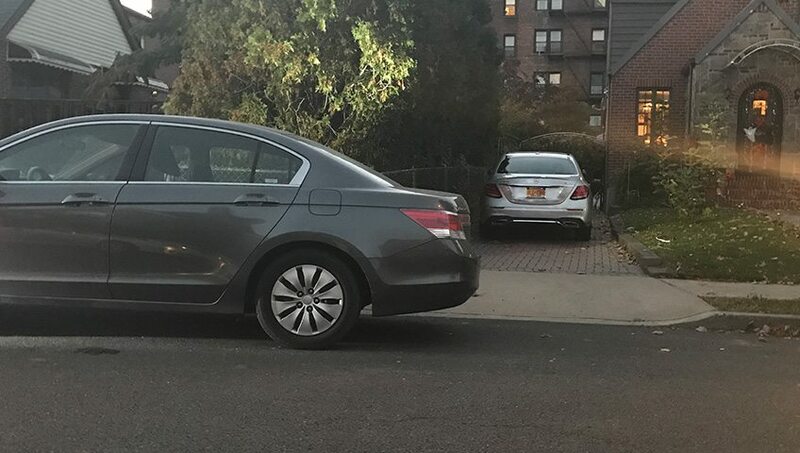 Doesn't' matter what time it is, if you ever see a vehicle blocking your driveway in Queens, NY immediately call the police via 311, by calling the local precinct directly or by filling out the form on the city's website to file a complaint. Sometimes it is very frustrating coming to or leaving from your house and finding that your driveway is being blocked by another vehicle. This might prevent you from going to work, dropping your kids to school, going on an emergency base to some place and much more. Unfortunately, calling a Towing company locally to remove the vehicle will not work just about at this time. As mentioned above you will need a physical summons on the vehicle that states "Obstructing Driveway" on it in order for us to come over and clear out your blocked driveway in Queens, NY. Parking being a major issue in many parts of Queens, NY it is very likely for your driveway to be blocked every now and then. At times people are in a rush looking for parking and then out of frustration they just block the driveway thinking they will be back very quickly. Other times people are just not aware as to how serious of an issue it is to block ones driveway in queens. Either which way it is very inhumane to block someones driveway as you do not know what the emergency might be where the person needs access to his/her driveway at any given time. Having said that, next time your Driveway is blocked by someone, please do not hesitate to either call 311, your local precinct, or by filing out the form on the city's website. After the vehicle is ticketed you can simply give us a call at 718-440-3392 or you can fill out the contact form on our website to request an immediate tow for the vehicle that is blocking your driveway in Queens, NY and the surrounding areas.